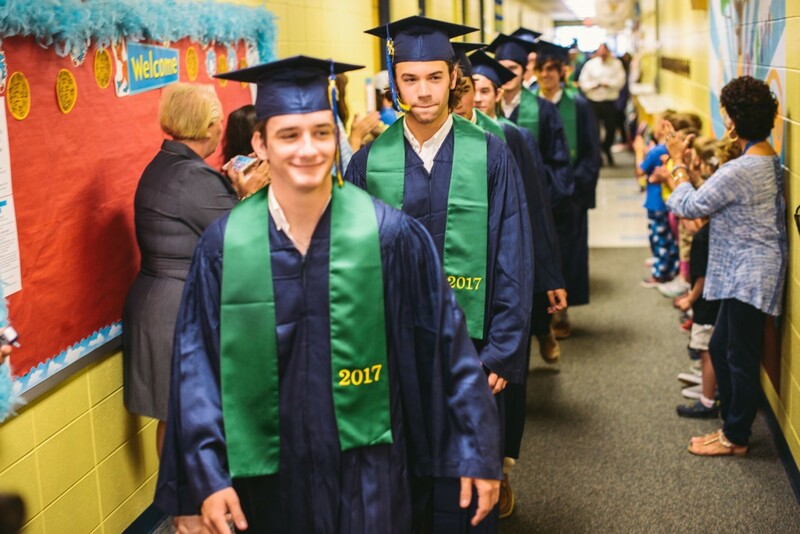 The 2017 senior class of St Patrick Catholic High School marched through the hall of Our Lady of Fatima Elementary School to celebrate their upcoming graduation. 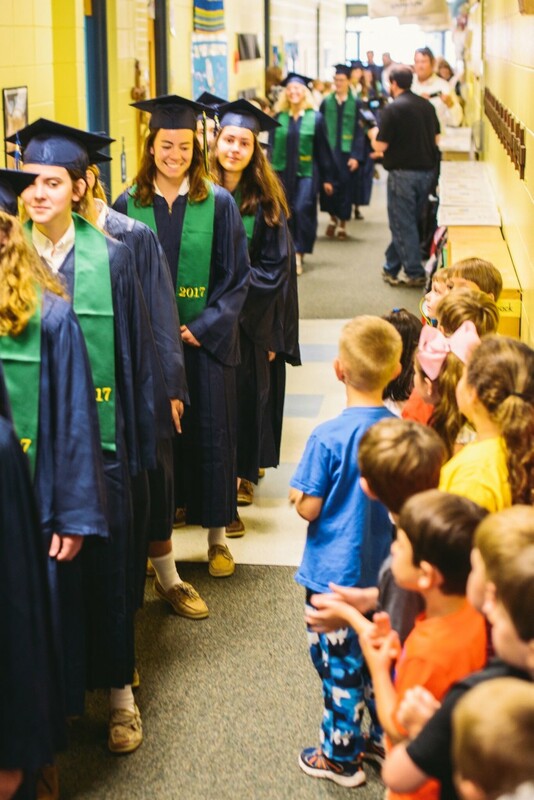 As “The Graduation March” played in the background, the seniors walked through the halls and were greeted with cheers from the elementary students, faculty, and parents. Ms Cindy Hahn, OLF Principal, said that several of the seniors graduated from OLF and she wanted them to return to where their education started. “This parade is a great way for our current students to connect with St. Patrick and see their future in junior high and high school” said Ms. Hahn. 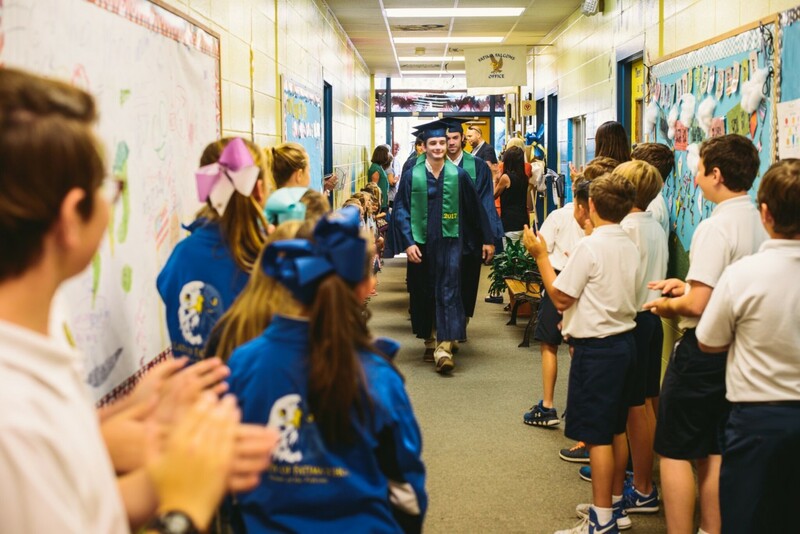 Plans are in the work to make this graduation march an annual tradition.